Dogman opens with a close-up of a snarling pit bull. He’s on a short chain and seems feral and crazed. But in fact, he’s someone’s pet getting a bath in a dingy dog-grooming shop in an equally dingy seaside town. The man scrubbing his back with a janitor’s broom is Marcello, who knows a thing or two about how to handle a savage canine, the kind his rough clientele like to keep. We’re in low-level mafia country here, full of petty criminals and forgotten people living on the economic fringes of Italy. 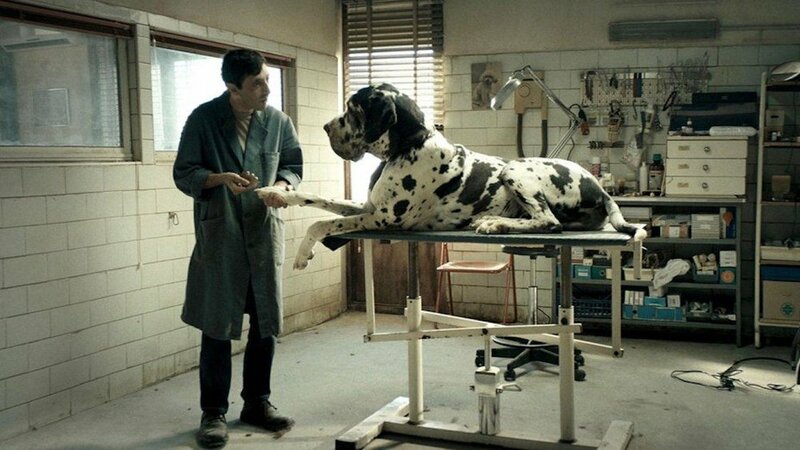 The dynamic that plays out between Marcello and this dog is an apt metaphor for the film’s central story. Marcello can manage the wildest of beasts, but his tricks only go so far when savagery takes human form. The demands Simoncino places on Marcello escalate. Eventually, the dogman takes the fall for his thick-necked friend and serves time, but afterwards he learns that his pact with the devil—a bought silence—is meaningless, and his friends have turned against him to boot. Marcello takes shocking action in a bid for both redemption and revenge. 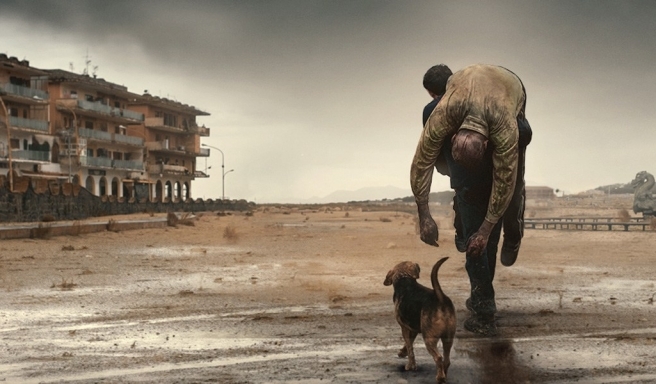 Dogman is the latest feature by Matteo Garrone, one of Italy’s most accomplished directors. His scripts always spring from real-life stories ripped from the headlines, or in the case of his best-known project, Gomorrah (2008), from the pages of Roberto Saviano’s eponymous exposé of the Neapolitan mafia, the camorra. That international best-seller not only named names within the crime syndicate (earning the author death threats), it showed from the inside how the camorra enters the woof and weave of semi-legitimate industries, from haute-fashion sweatshops to hazardous waste disposal. Dogman’s leading duo excel. With his sunken cheeks and slight frame, Marcello Fonte is the physical embodiment of hangdog acquiescence. This theater actor and musician previously had just bit parts in a half-dozen Italian films, plus Scorsese’s The Gangs of New York. This was his first time carrying a film, and his performance as Marcello is haunting. The judges at Cannes clearly thought so, awarding him Best Actor. (They also gave the canine cast a special Palm Dog award.) Edoardo Pesce, who came to the part of Simoncino with a longer filmography, is electrifying in his unpredictableness, like a feral dog who might either ignore you or sink his teeth into your flesh. 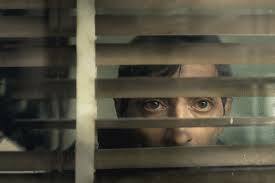 Dogman opens in New York and Los Angeles this Friday, April 12, then rolls out nationally via Magnolia Pictures. See playdates here.